#PurpleFridays were a huge hit in 2014. 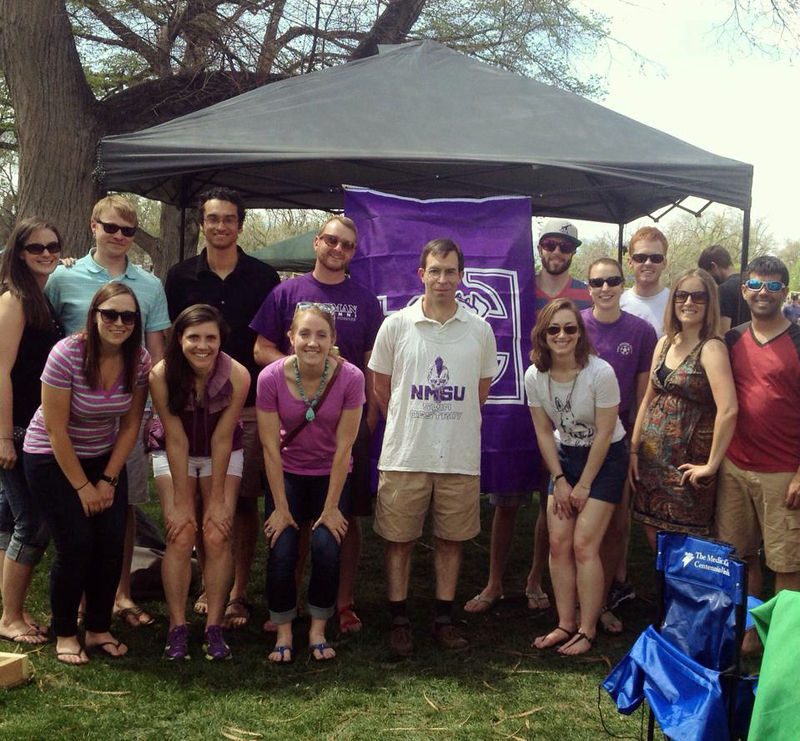 Students, faculty, staff and alumni nationwide adorned themselves with Truman purple on Fridays to celebrate the Bulldog spirit. While Purple Friday happens every week, there are two Fridays a year that stand above the rest. • Tweet them to @TrumanAlumni. 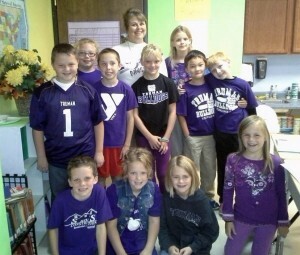 Be sure to use #TrumanSpiritDay! • Email them to bulldogforever2@truman.edu. • Go to truman.edu and fill out the online submission form. 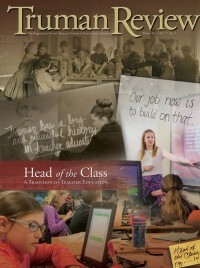 Photos will be displayed on our website and Facebook pages (fb.com/TrumanAlumni). As always, everyone who sends in a photo will have a chance to win some free Truman gifts. Photo contest categories include: Most Spirited, Spike’s Purple Pups (for all of our furry friends) and Lil’ Truman Tykes (for our younger Truman fans). Make sure to tell your friends and family, too. They’ll want to join in on the fun! The big winner this past October was Connie Charles. 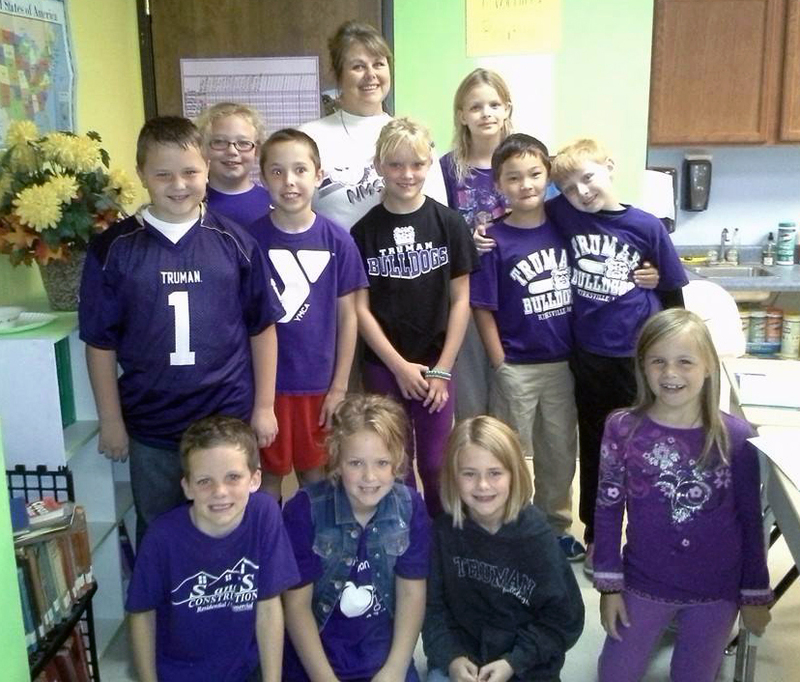 Her entire classroom dressed in purple to show their Truman spirit. A big thank you to everyone who participated this year and helped us spread the Bulldog spirit.